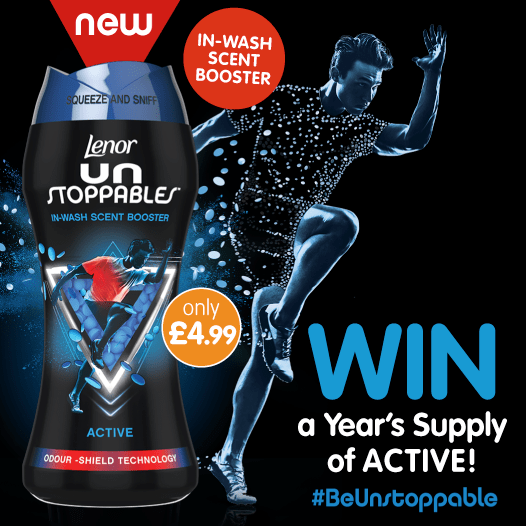 B&M Lifestyle | WINNER ANNOUNCEMENT - ONE Chance to WIN a YEAR'S SUPPLY of Lenor Unstoppables! WINNER ANNOUNCEMENT - ONE Chance to WIN a YEAR'S SUPPLY of Lenor Unstoppables! Our fantastic competition to give ONE lucky winner a brilliant YEAR'S SUPPLY OF Lenor Unstoppables has now finished! The lucky winner has now been picked at random from the thousands of you who entered! Congratulations! We hope you enjoy your Lenor! For everyone else, better luck next time and keep your eyes peeled for some amazing competitons we've got planned for you over the coming weeks. We've got lots of great giveaways and competitions lined up so make sure you stay up to date with all of our competitions via Facebook, Twitter, or our Competitions page.